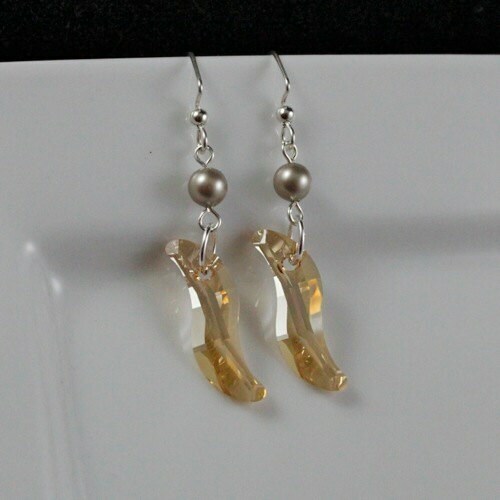 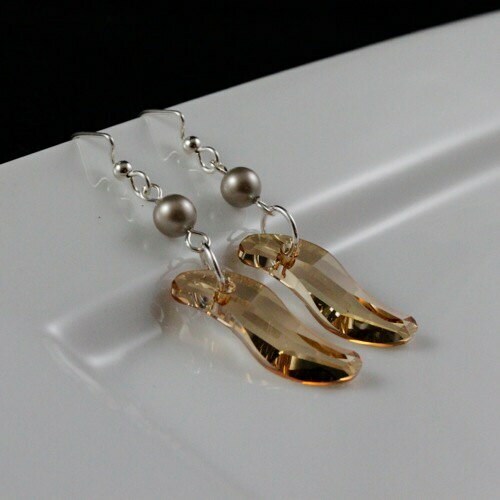 Earring Ingredients: 28mm Golden Shadow Wave Swarovski Crystal pendant accented with a Golden Tan Swarovski Glass Pearl. 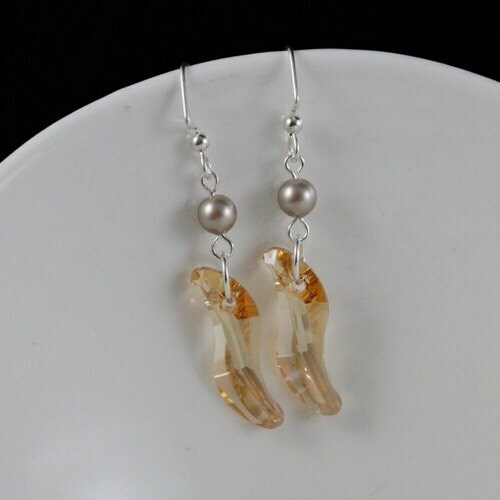 Earrings are approximately 2.5" from end to end and have .925 sterling silver ear wires. 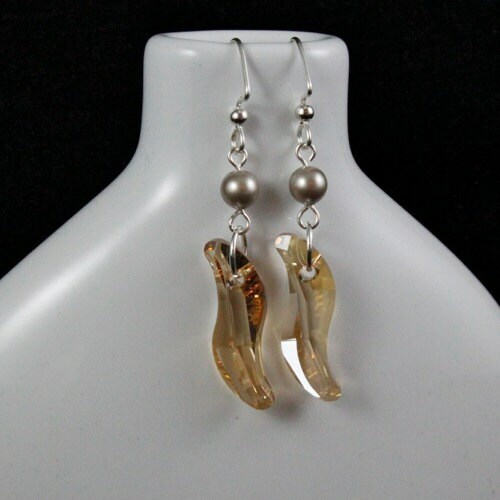 Be sure to check out the matching Golden Shadow Wave Necklace ----> http://www.etsy.com/listing/161389333/golden-shadow-wave-necklace-n218?